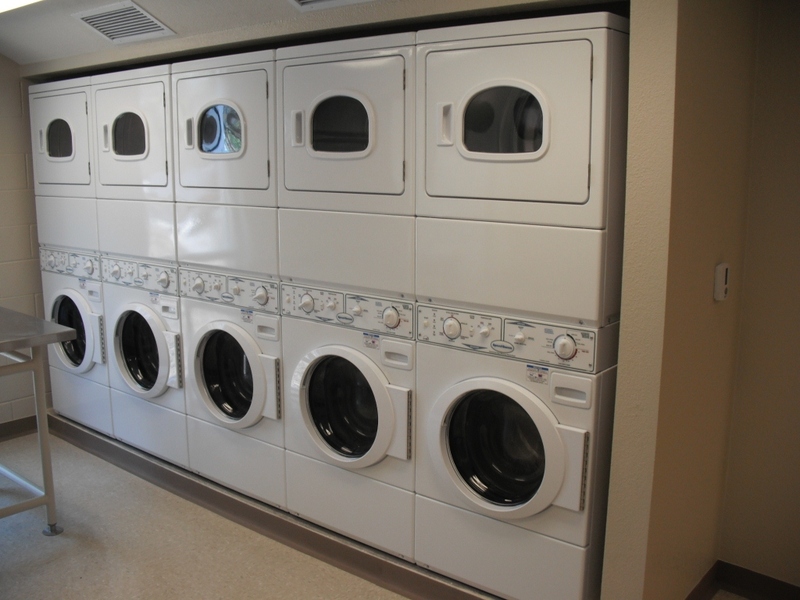 Fort Sam Houston Laundry Towers | JSR, Inc.
JSR managed the design and construction of seven 1,300 sqft, 3-story laundry facility towers attached to occupied barracks. 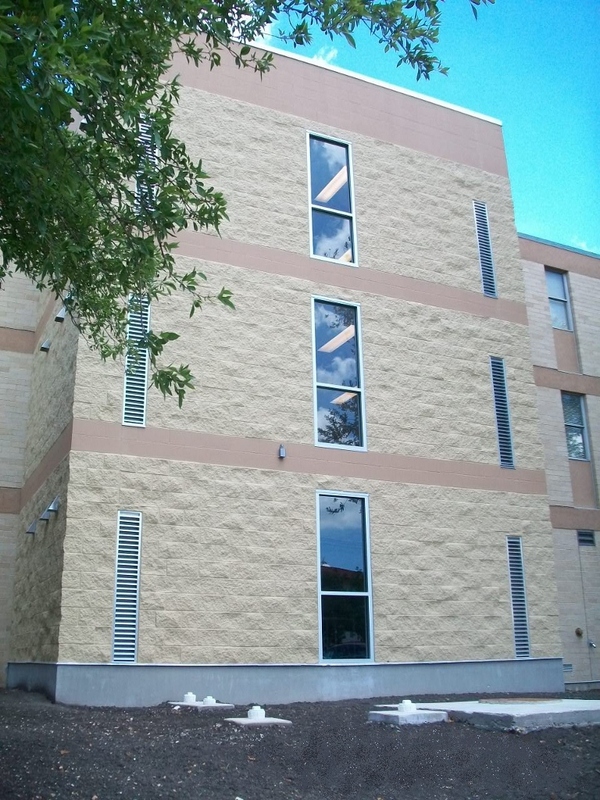 These CMU/steel structures included the installation of primary and secondary electrical distribution, water source heat pump HVAC, domestic water and sanitary, fire protection, and entry systems. 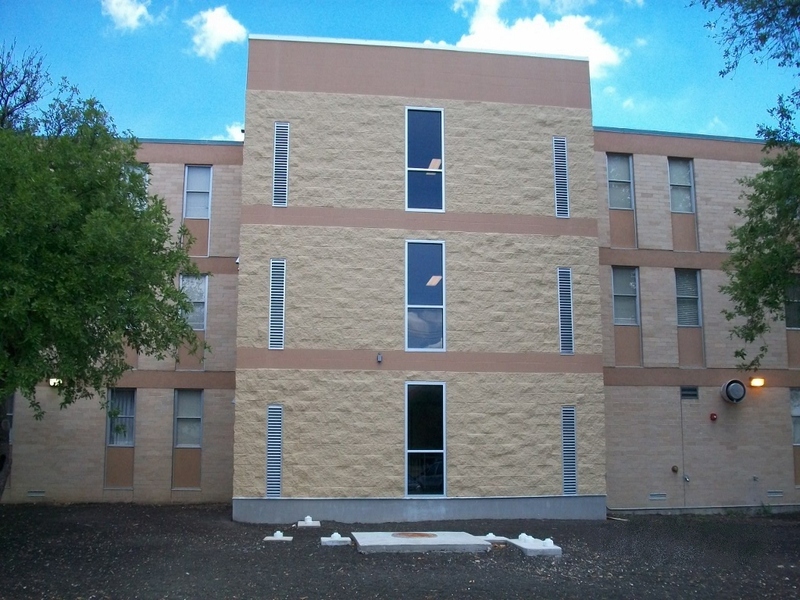 The exterior was finished by texturing and painting the CMU to match the existing barracks' finishes. 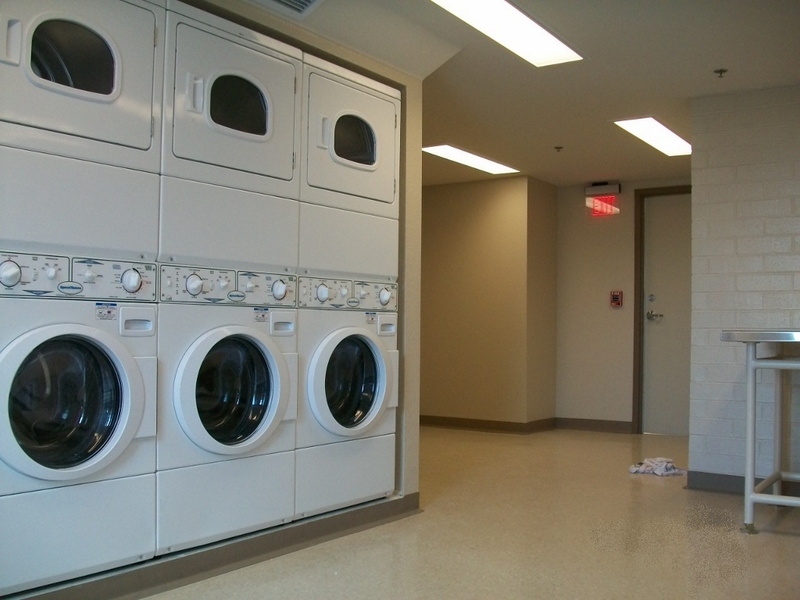 Interior finishes included painted CMU walls and water resistant gypsum board, exposed sealed concrete floors, doors, lighting, and laminate counters and folding tables. 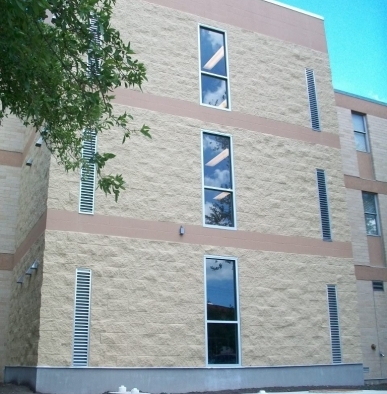 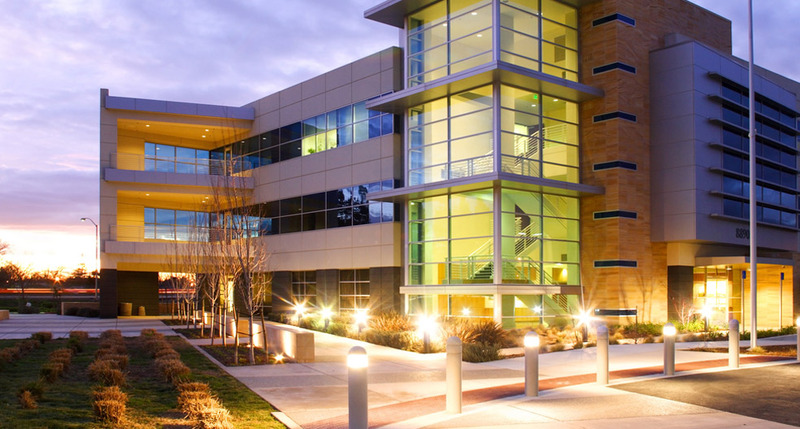 Site work included the installation of a new underground electrical power distribution lines and duct banks from new building panels to existing 3-phase 750 KVA transformers and switchgears. 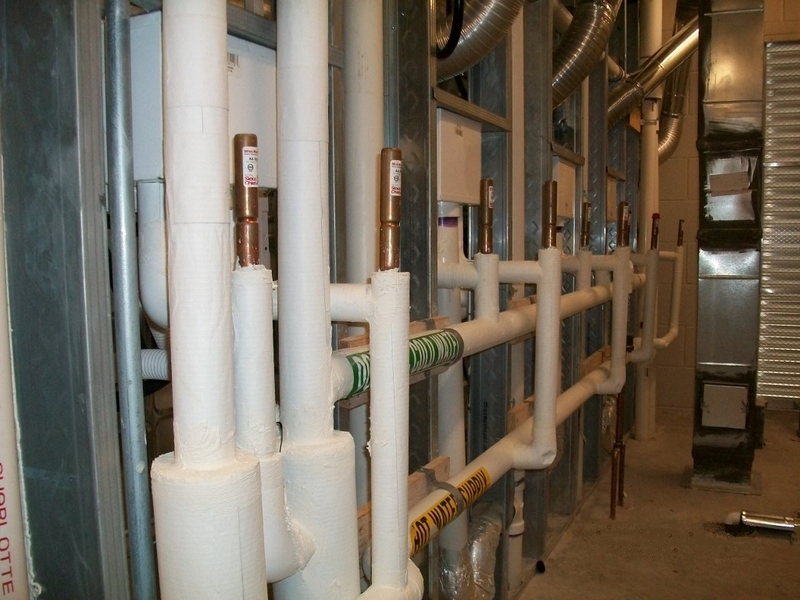 Underground piping was installed connecting the towers’ sanitary sewer systems to the Base-wide sanitary sewer system.